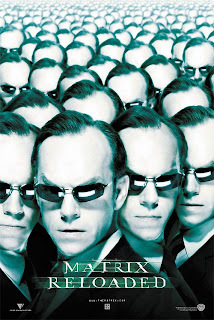 'The Matrix' is a 1999 Australian-American science fiction-action film written and directed by Larry and Andy Wachowski; starring Keanu Reeves, Laurence Fishburne, Carrie-Anne Moss, Joe Pantoliano, and Hugo Weaving. It was first released in North America on March 31, 1999, and is the first installment in the Matrix series of films, comic books, video games, and animation. 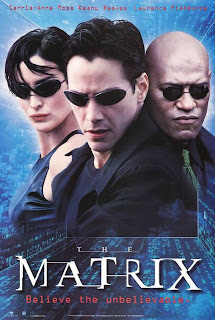 The film depicts a future in which reality as perceived by most humans is actually a simulated reality created by sentient machines to pacify and subdue the human population, while their bodies' heat and electrical activity are used as an energy source. Upon learning this, computer programmer "Neo" is drawn into a rebellion against the machines, involving other people who have been freed from the "dream world" and into reality. 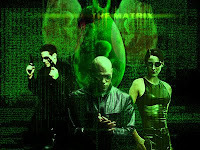 I love Matrix trilogy movie! 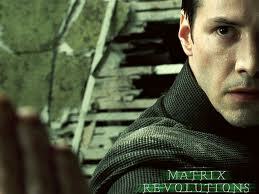 I've watched it a lot of times, and over again I repeat to watch it.